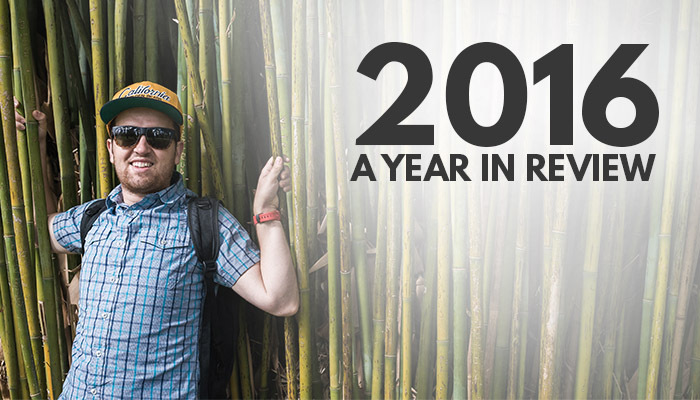 2016 is wrapping up already, and I can’t believe it’s time to do another yearly review. As I did last year, I’m going to be counting down the top 10 highlights from the year. Every time I get a job, after half a year or so I start thinking about what else is out there? For the longest time, I wanted to build a business of my own that was stable and successful. From graduating in 2011 until mid-2015, I was working on that business. 2016 was the first full year that I worked for myself. And it continues to be the only ‘job’ that I am not looking to change. I am so grateful that teaching other people my passions through online courses, ebooks, and YouTube videos is able to provide a stable income for me and my wife. I’m not looking back in 2017. I can’t wait to see what the new year brings. 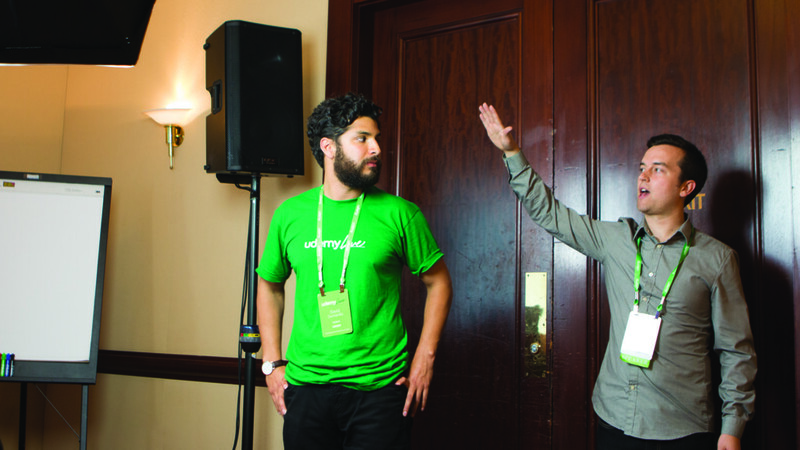 Without a doubt, participating in Udemy Live 2016 was one of the highlights of the year. I met so many of the good friends that I’ve met online over the past few years. It was an inspiring weekend, giving me more focus on my goals for the rest of the year. 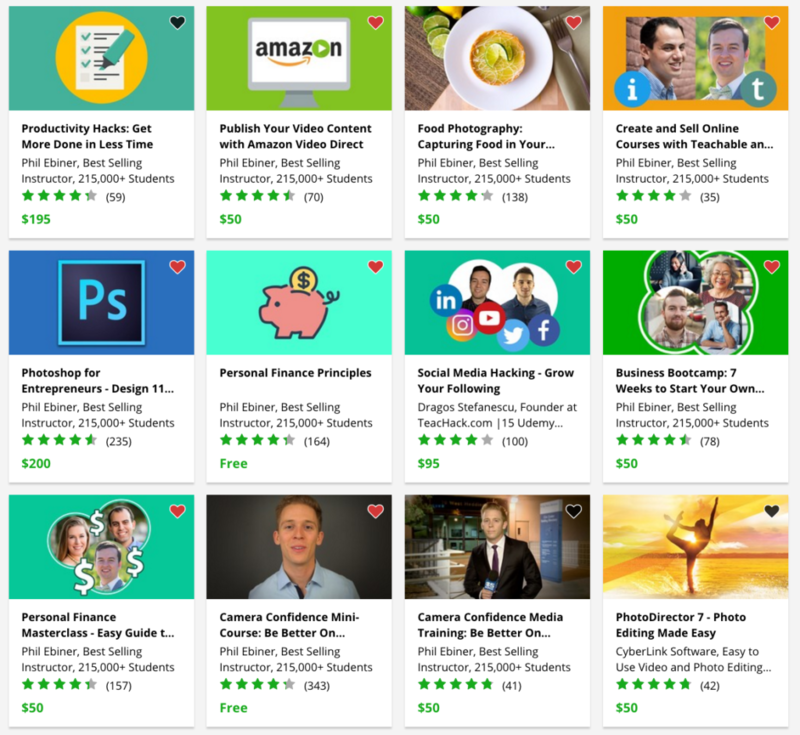 Up until Udemy Live, I spent most of my weeks experimenting with all sorts of ways to grow my business – from webinars and sales funnels to premium products and building my own course platform. During the conference I was re-assured about the success of Udemy, giving me more focus on creating great courses on Udemy and not turning my focus away from the most profitable part of my business. Following the 80/20 rule, this weekend helped me turn my attention to the 20% of efforts that make 80% of my profits – creating amazing Udemy courses. I also got to speak at Udemy Live, sharing my video production knowledge in my own workshop. It was nerve-wracking, but a great experience. You can read my 9 key takeaways from Udemy Live 2016 here + watch my video recap. Included in this list are a few highlights not directly related to my business. But I think that’s okay because spending time doing other things I love is just as important as focusing on work 100% of the time. 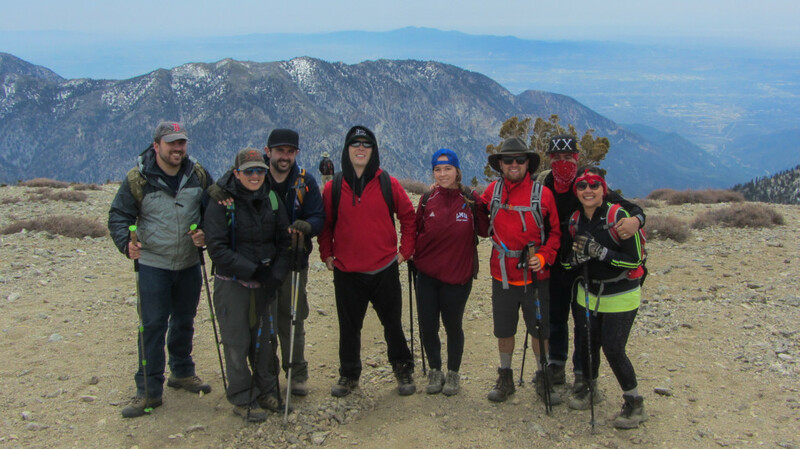 Early in the year a group of friends and I planned to hike Mount Baldy, one of the tallest peaks on Southern California at just over 10,000 feet. We did a series of training hikes that prepared us for the summit, which we completed in April. In October, a couple buddies and I went on the first overnight backpacking trip of my life. It’s something I’ve always wanted to do. I remember buying books about backpacking in high school. But I never took action and did it. Our short trip was amazing and I can’t wait to do another longer one in 2017. One of my goals at the start of the year was to create 6 new courses. This was a way to try to focus on other things and not create as many courses. After all, how many courses can one guy create?! I broke that goal/rule and made over 20 courses this year. For most of them, I partnered with friends who shared the same passion. I’ve loved doing this with friends from home as a way to: a) work on a project together b) introduce them to my world of business and c) help them make a side income. Having more time in 2016 to work on my own business allowed me to improve the way that I communicate with you, my audience. I did fun things like added some vlog-style videos to the YouTube channel, giving you an inside look at my life. I also re-did my entire email marketing strategy. Once I converted to ConvertKit from MailPoet, it forced me to think about email marketing in a new way. My homepage opt-in changed throughout the year as I struggled to figure out who my core audience was (or who I wanted it to be). Now, I’m happy with the free guide that I’m giving away and the 10-day email sequence that you get for subscribing. It’s higher quality than last year’s email sequences. I still have a way to go to make my emails perfect, but I’m heading in the right direction. I set some high goals in 2016. Some I had surpassed. Others I didn’t complete. On YouTube, my goal was 50k subscribers. I did practically triple my subscribers in 2016 reaching 35k. And I passed my view goal of 2.5 million by reaching the 3 million mark. YouTube has been exciting in 2016. It’s one of the places where I give mostly free content away, which brings so many people into my community. My videos were watched for over 6 million minutes in 2016. That’s more than 4,166 days of viewing time. Incredible! I see YouTube as a longterm strategy to grow the business. That’s one of the reasons we launched VSO Tech, a channel focused on photo and video gear reviews and tests. At over 1,000 subscribers in the first few months, we’re happy with the growth of the channel and look forward to growing this channel in 2017. I often talk to people about my business who have never heard about websites like Udemy or Skillshare. When I tell them that over 200,000 students have enrolled in my courses, they are always astounded. I’m astounded as well. My total student numbers practically doubled from 2015. It’s not just the number of students that amazes me. It’s the number of messages I receive thanking me for my courses that keeps me going. Of course I get some bad reviews here and there. But in general student really enjoy our courses. Looking at this number of students can feel overwhelming. Sometimes it feels like just a number. But then I meet some of my students at Udemy Live and realize that my courses have a real impact on people’s lives. Wow. That’s incredible. I’m so thankful for all the students who enroll in my courses. You have changed my life in ways that I hope I can reciprocate. As a video creator, I love making videos… especially creative ones. I’d be lying if my creative soul was feeling a little left out after so many educational course videos and tutorials. Since graduating from college, I’ve focused on making videos for work, which often didn’t match up with videos that were creatively challenging / passion projects. I hadn’t made a short documentary in over a year. And that’s what I’m most passionate about! See more about Strongest I’ll Ever be on it’s page. One of my personal goals in 2016 was to make some sort of short documentary. I found the perfect subject in my friend Anthony Carbajal, who was unfortunately diagnosed with ALS a couple years ago. 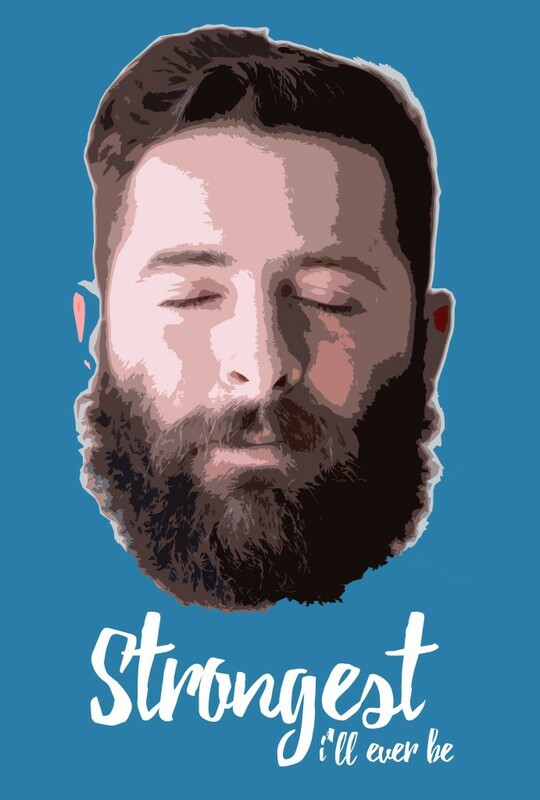 He’s an amazing person and has a story that deserves to be told. We made it happen. A small crew (just Will Carnahan, Sam Shimizu-Jones, and I) headed out to Redlands for a day of shooting. The result is my favorite video I’ve ever made. The 15 minute documentary will be submitted to film festivals in 2017, and hopefully screen at some of them. Then we’ll make it live online at the end of 2017. I’m so excited to start sharing it with the world! The top two highlights of the year aren’t about business milestones, but rather life milestones. In November, Isabel and I took our first international vacation since 2014. We ventured to Australia where Isabel’s cousins live. For ~20 days we explored Sydney and its surroundings, then went up north to Port Douglas to snorkel at the Great Barrier Reef. 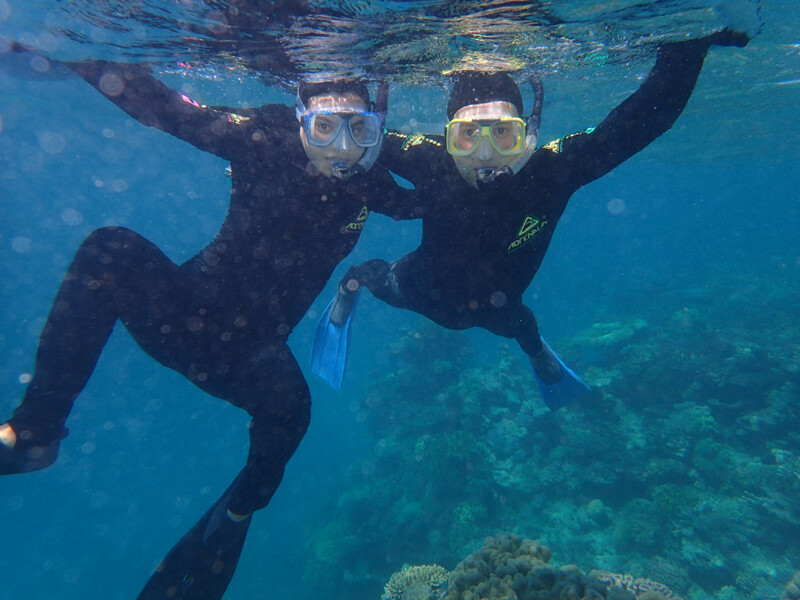 This trip to the Great Barrier Reef was partly inspired by Lonely Planet’s list of top 500 travel destinations. The Barrier Reef is listed at #2. 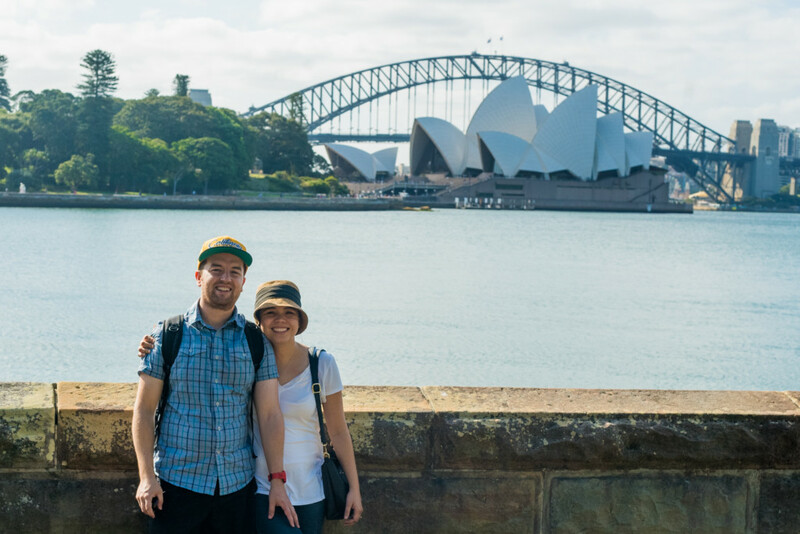 Every day we did something different – exploring the city of Sydney, seeing the Blue Mountains, surfing at Freshwater Beach, visiting Bondi and Manly beaches, losing our breaths at the Opera House, wine tasting in Hunter Valley, exploring the Daintree Rainforest, petting kangaroos and wallabies, and hanging out with family! The other side of this trip was that it coincided with the best month of business I’ve ever had. Spurred by the Black Friday sales on Udemy, my business ran on autopilot. You might not have noticed that I was gone! YouTube videos were scheduled. Emails were automated. And course sales skyrocketed. I don’t have a secret to this. I just try to make great courses that people love… and make a lot of them. And because we don’t get paid for November sales until January, it means 2017 will spring to a great start. Did I think I was going to buy a house in 2016? No, and in fact for a long time I was against home ownership. But after a year of marriage, Isabel and I started thinking more about our future and our financial standing. There’s arguments for and against home ownership. And sometimes it doesn’t come down to pure arithmetic. I believe that home ownership is right for some people, and not others. 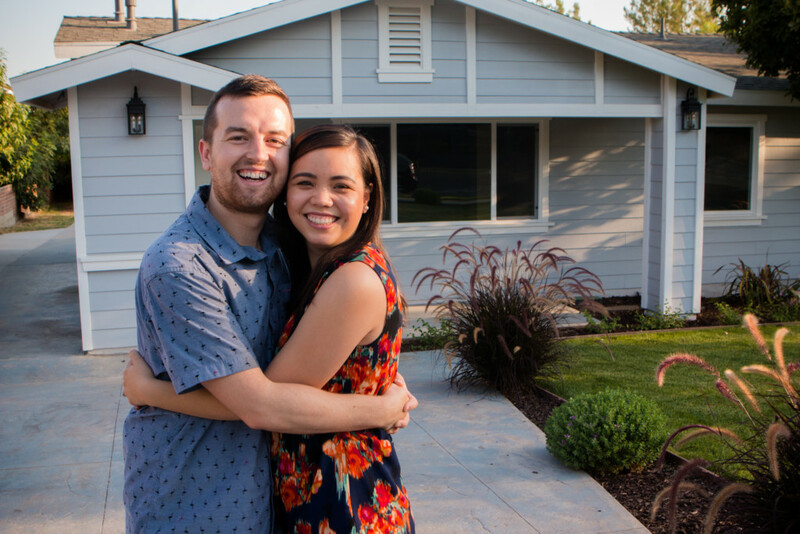 For us, 2016 surprisingly ended up being the time for us to explore buying a home. The thing about Isabel and me is that when we have our minds set on something… we do it! And we do it with all of our energy and focus. It could be finding a used couch on Craigslist, planning our wedding, or buying a house. So I knew when we started our house search that it probably wouldn’t take long for us to make it happen. Little did I know that it would also mean moving back to my home town of San Dimas, California. But for us, it made a lot of financial sense being a bit cheaper than some of our other ideal locations. Home ownership is no joke. Every weekend has been filled with some sort of project. And right now, I’m loving it. I know those of you who have owned homes for a long time might be chuckling to yourselves, but it’s true. I’m enjoying mowing the lawn, raking the leaves, organizing the garage. And I am so lucky to be able to do this. I attribute it to both luck and hard work, and gratitude for being able to go to a great school and have a college education. That’s not available to everyone. And that’s why I am so passionate about education, and helping other people with my courses, because I want you to have the same opportunities that I’ve had. A bonus highlight! Riding a hot air balloon in Temecula! 2017 will be an amazing year! I know next year will be another amazing year. Of course it will have its ups and downs. But I know that the hard work that we’re putting in each day will pay off. Check back in January for my 2017 Goals article! I’m looking forward to setting some new goals and looking to the future. Tell me 1 of your highlights in the comments below.